When Gina Raiford, 54, enrolled her 95 year old grandmother into hospice care two years ago, she was heartbroken. Her grandmother was coping with serious heart failure and had suffered several episodes during which she became non-responsive and needed hospitalization. Eventually hospital staff suggested hospice. Those feelings are not uncommon, says John Mastrojohn, chief operating officer of the National Hospice and Palliative Care Organization. 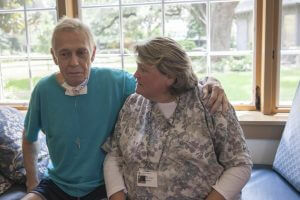 “Most people don’t fully understand what hospice really means,” he says. 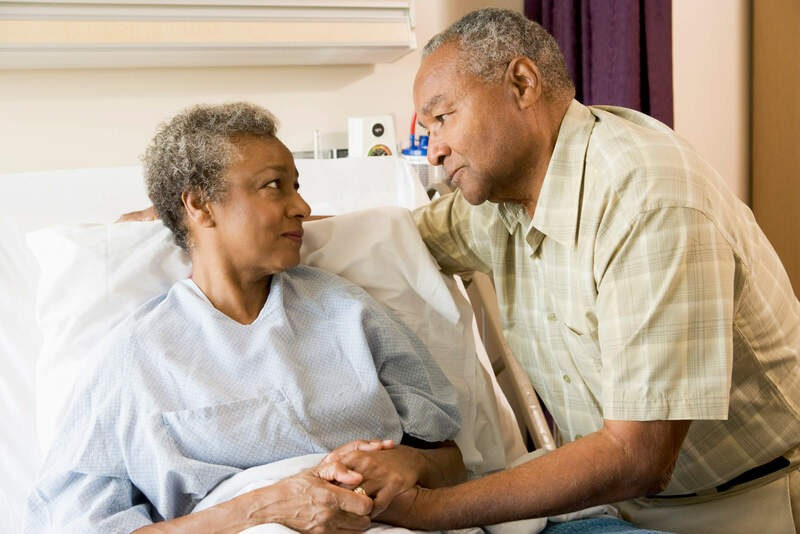 While people’s fears about hospice are understandable, quality hospice care is what many caregivers and health care professionals have come to believe is the most dignified and graceful way to deal with a terminal illness. It can offer physical and emotional support to the entire family, not just the patient. But all too often, patients and caregivers are introduced to the idea of hospice during a time of high emotions, says Mastrojohn. That’s not the best time to make decisions—or do the necessary due diligence to find the highest quality care. Hospice care is offered to individuals considered to be in the terminal phase of an illness with a life expectancy of six months or less. It doesn’t necessarily take place in a stand-alone facility: Patients may also receive services in a hospital or at home. The goal is to provide the patient with comfort from pain, management of symptoms, and emotional and spiritual support at a time when curative treatment is no longer beneficial. Patients can also move out of hospice care if their condition improves, with the understanding that services can be re-instated when needed. Gina Raiford’s grandmother, for instance, has moved in and out of hospice for the past two years. Last month she celebrated her 97th birthday with her granddaughter, son and entire hospice team. According to the guidelines provided by Medicare, hospice services include almost anything related to pain and symptom management, including on-call care to manage acute pain episodes. It also extends to spiritual care, bereavement and counseling services, and in many cases art and music therapies. Private insurers generally cover all this, too. Many caregivers and health care professionals believe hospice is the most dignified and graceful way to deal with a terminal illness. Unfortunately growth in the hospice industry has led to troubled providers with faulty management entering the field. The result can be large gaps in service, inadequate care and even outright fraud. Be alert to anyone offering extra caregiving or pain management services without using the word hospice. Last year the Office of the Inspector General (OIG) released a government report documenting lapses in care that sometimes left patients in pain for days. In other cases, service on weekends was rare and routine visits were often skipped. If you’re looking for hospice services for a loved on, be alert to anyone offering extra caregiving or pain management services without using the word hospice or explaining hospice rules. What services are offered. Quality hospice should offer, at minimum, 24-hour on-call service, in-person visits, medical equipment, related medications, inpatient care to manage acute bouts of pain, and continuous care in the home. The most recent satisfaction survey. Most hospice facilities conduct satisfaction surveys. Ask to see this data, says Mastrojohn. You’ll get a sense right away of how well the program is functioning. Accreditation. 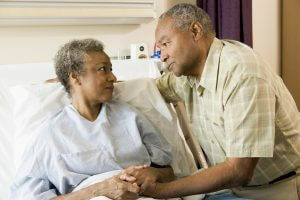 Any hospice you are considering should be approved as a Medicare provider. In addition look for extra accreditations from NHPCO and other industry organizations. The 24 hour on-call service. Even if the facility says they provide it, you need to dig deeper. One of the most common complaints found in the OIG report concerned patients and caregivers who needed help during an acute episode. But no one from hospice showed up, leaving both the patient and caregiver in a panic. That’s exactly the scenario hospice is designed to avoid. 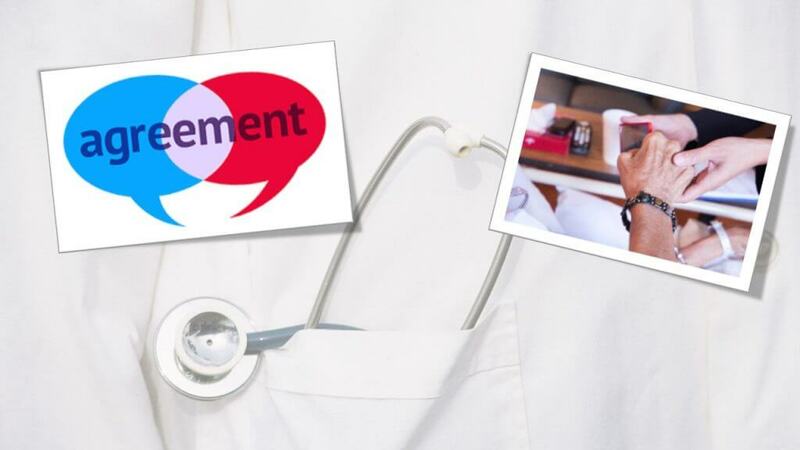 So ask: Does the hospice guarantee calling back within a certain amount of time? Ask how many people are on call during the daytime, evening, night and weekends. Is there’s a back-up person or people to cover when assigned staff is busy? You’ll have to balance what the person who is dying wants versus what you and the family can realistically provide. Are the hospice’s doctors and nurses certified in palliative care (providing relief from the symptoms and stress of a serious illness)? Experience counts for a lot, but having the credential indicates specialized study in palliative medicine and/or nursing. How rapid is crisis response? You want to know who would be available after normal business hours, on weekends and holidays. Ask about the hospice’s average response time and who will make the visit. Some hospices offer limited in-home support on nights and weekends, while others are able to send staff out to a patient’s home no matter when a crisis arises. “If you have an opportunity to go with a free-standing hospice house, jump wholeheartedly into it because the environment is created specifically to help people as they die and the family members of people as they die,” said Dr. Rebecca Allen, a geropsychologist and professor of psychology at the University of Alabama’s Research Institute on Aging. New York-based journalist Liz Seegert has spent more than 30 years reporting and writing about health and general news topics for print, digital and broadcast media. Her primary beats currently include aging, boomers, social determinants of health and health policy. She is topic editor on aging for the Association of Health Care Journalists. Her work has appeared in numerous media outlets, including Consumer Reports, AARP.com, Medical Economics, The Los Angeles Times and The Hartford Courant. Palliative care experts are using the occasion of Aretha Franklin’s death to urge mesothelioma patients and others diagnosed with terminal illnesses to learn about hospice care and understand that it provides far more than just a “days before” benefit. Franklin’s family announced that she would be entering hospice care just three days before she died, less than the national median length of stay in hospice which is just slightly over three weeks and far less than the amount of time that the service is available. According to palliative care experts, when announcements are made that celebrities are entering hospice just days before their deaths, it confirms the public’s impression that hospice is a place to go before you die, rather than its actual goal of anticipating, preventing and managing patient suffering. 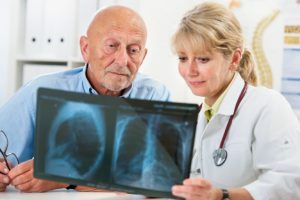 The earlier mesothelioma patients enter hospice care, the more benefit they are able to get and the greater the improvement in their quality of life. People diagnosed with mesothelioma who are considering hospice care would do well to learn about those celebrities who have used it to its fullest: columnist and author Art Buchwald called the five months he was in hospice “the best time of [his] life”, where he was able to continue working, seeing friends and dying with a minimum of discomfort, in a warm and comforting environment. 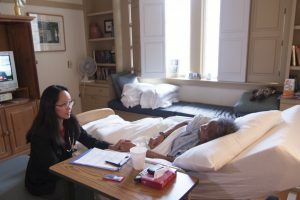 Palliative care professionals are working to spread this news and reframe the narrative about what hospice care from “nothing more we can do” to “living as well as you can for as long as you can” writes Jennifer Moore Ballentine, executive director of the CSU Institute for Palliative Care, based at Cal State San Marcos. In an article she wrote for the San Diego Union Tribune, Ballentine urges family members and physicians alike to remember that palliative care is available for mesothelioma patients and others with a life expectancy of six months or less who are no longer seeking treatment. Unfortunately, a study in the AMA Journal of Ethics found that specialty physicians are less likely to suggest palliative care than are family and internal medicine clinicians. Much of this is due to the challenge of having difficult conversations. If you or someone you love has been diagnosed with mesothelioma, you are already aware that the rare form of cancer has no cure. If you would like information on the benefits of palliative care or any other resources to support you as you face this challenging disease, contact the Patient Advocates at Mesothelioma.net today at 1-800-692-8608. If you have tried to get care at home for a loved one, it may have been a difficult and time-consuming process. You are not alone. I also had the experience of trying to find care for an older adult family member, and though I have worked in home care for many years, it is not an easy experience. According to the National Association for Home Care and Hospice, around 12 million people in the United States (U.S.) receive home health care from more than 33,000 provider organizations. As the population continues to grow, that number will likely more than double by 2050, increasing to 27 million. Here are five factors contributing to the complexity. *Aging of the population. This has been referred to as the graying tsunami, and for good reason. The projection that roughly 10,000 baby boomers will turn 65 each day, and that this trend will continue for the next 19 years, is staggering, no matter how many times it is repeated. In the U.S., one of the fastest growing segments are those people who are age 85 or older. Called the “oldest old” by the National Institutes on Aging (NIA), they constitute the most quickly growing segment of the U.S. population. And now think about how many people you know who are in their 90s and maybe have passed the 100 mark? My sweet father-in-law moved in to our home when he was 93 and lived with us for three years – until he died at our home with care and hospice support. This scenario is not unusual. And think about the health implications in the oldest old with the frailty and other challenges that come from living to that age. *Home care means many things. There are home health agencies certified by Medicare and Medicaid. These are agencies that provide what are called “intermittent” visits by nurses, aides, therapists and/or social workers. These services are provided under a physician-directed plan of care. There are specific rules related to coverage and care provided and like any medical insurance program, there are covered and non-covered services. There are also private duty organizations that provide services, such as a “shift” of 4 or 8 hours. In this instance, a family may contact a number of organizations to obtain an aide to be with and care for a family member who might have personal care needs, such as a need for assistance with bathing, dressing and/or meal preparation. 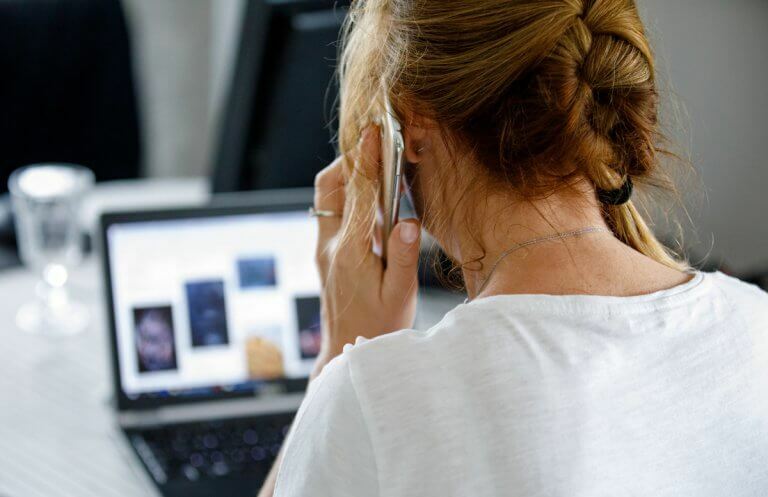 There are also home care services that are provided to very ill or technology-dependent people at home, and they may need specialized nursing care, such as that provided by a registered nurse. *Lack of enough trained caregivers. According to the Bureau of Labor Statistics, (BLS) home health aides and personal care aides are two of the fastest growing jobs. In fact, according to the BLS, their job outlook, defined as the projected numeric change in employment from 2016-2026, is 41 percent; which is much faster than average. The employment increase is estimated at 1,208,800 more aides! Varying factors contribute to organizations having trouble finding and then retaining more aides. *Chronic conditions and the growing complexity of care. According to the Centers for Medicare and Medicaid Services, it is estimated that 117 million adults have one or more chronic health conditions, and one in four adults have two or more chronic health conditions. These conditions can include cardiovascular (heart) conditions, such as heart failure, respiratory (breathing) conditions such as COPD (chronic obstructive pulmonary disease) or asthma, arthritis, cancer, depression, diabetes and more. Such chronic diseases also demand trained caregivers to help people better manage their health conditions. *People wanting to age in place. This may be their home or may be an assisted living residence. It was not so long ago that people were cared for primarily at home and oftentimes died at home. Many patients receive care in their homes through the Medicare hospice benefit. 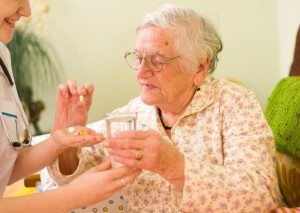 In fact, most hospice care is provided in the home setting. Wanting to age in place is a great goal, although it may not always be realistic, depending on the person, the care needs and safety concerns. So all these kinds of care at home are home care and are increasing the need for these specialized services. The term “home” becomes flexible as people seek the “best” situation for themselves and their loved ones to age in place. There is no question that home care is more complicated than people think. When finding care for yourself or a loved one, ask for (and check) references, read reviews and do your homework. Some of the best knowledge is local, so ask your neighbors and friends who they have worked with when care was needed for their family member. Tina Marrelli, MSN, MA, RN, FAAN is the author of the Handbook of Home Health Standards: Quality, Documentation, and Reimbursement (6th edition, 2018) and A Guide for Caregiving: What’s Next? Planning for Safety, Quality, and Compassionate Care for Your Loved One and Yourself. 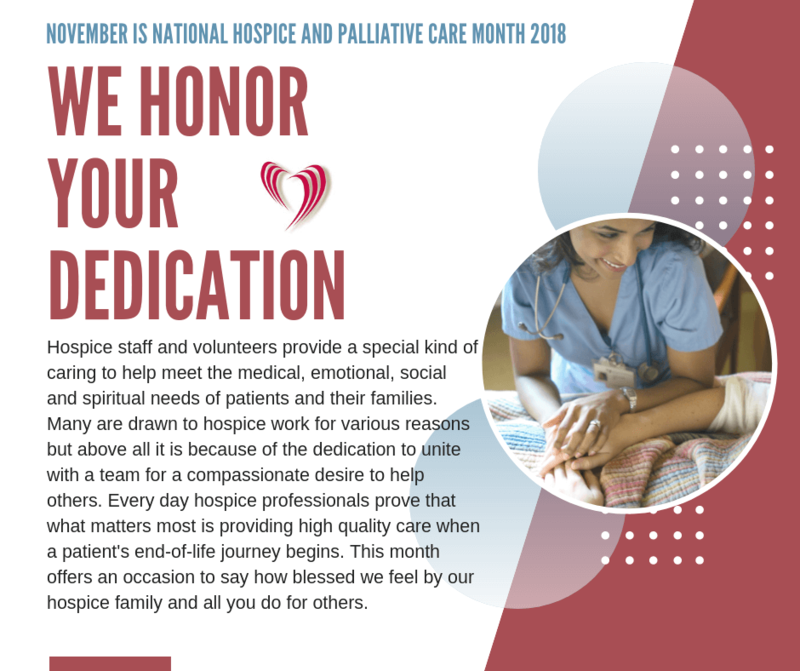 In the health care industry, awareness for hospice care continues to grow as more patients and families turn to hospice and understand the care hospice provides. Although myths about hospice are that “it is only for cancer patients”, “hospice is giving up” or “too expensive, indeed the opposite is true. Hospice illustrates that it is a vital part of end-of-life care and plays a significant role in health care in communities. life-limiting condition. The criteria to receive hospice care is a diagnosis of six months or less to live. If the patient lives longer, hospice care may be extended. 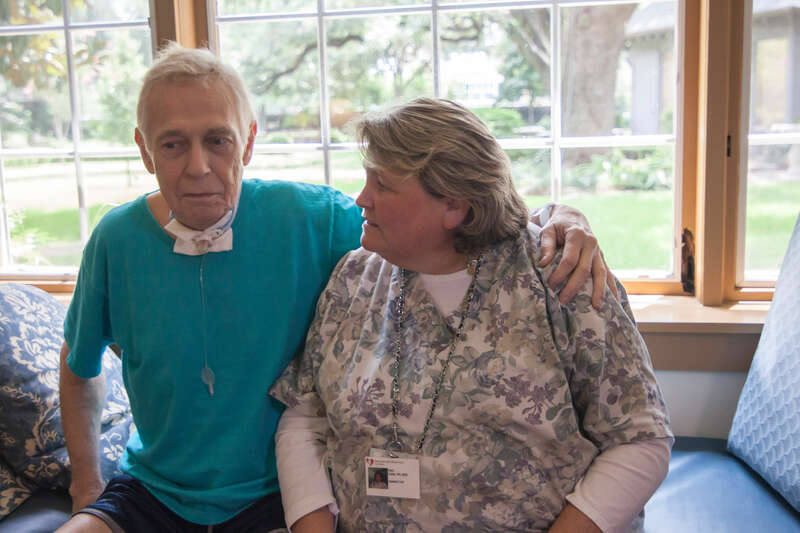 If a patient decides to forego additional curative treatments or once there is no more that can be done, a patient’s wish for quality of life is fulfilled through hospice care. Hospice is not about giving up. Studies have shown that patients have lived longer on hospice than those who do not choose it. Hospice costs are 100% covered by the Medicare for qualifying patients and paid for as long as the patient continues to meet the criteria necessary. Services can also be covered by Medicaid and most private insurers. Generally, most community-based hospices believe that everyone has the right to receive care. Hospice is not a place but a specialized form of care. It can be received anywhere the patient calls home; the family home, nursing home, assisted living facility or hospital. 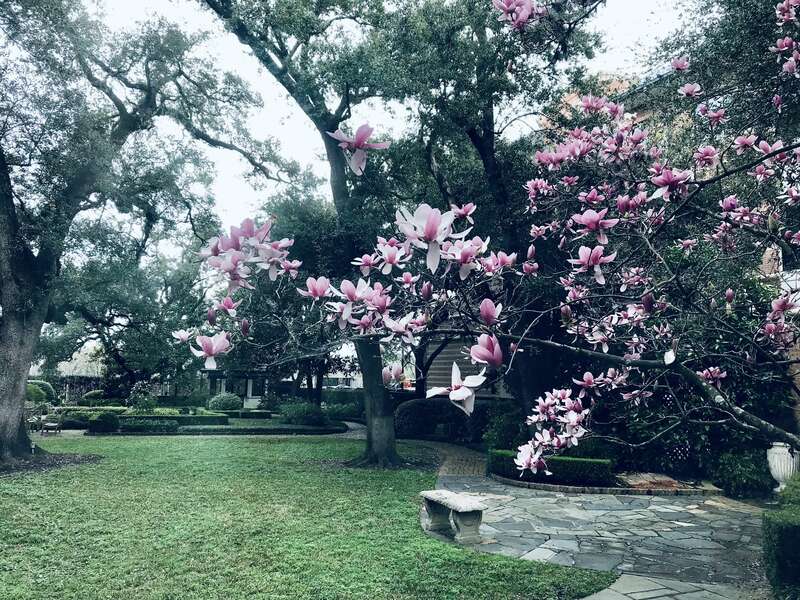 At Houston Hospice Texas Medical Center facility there is a 33-bed inpatient when acute symptom control is needed. Aside from medical care, spiritual and emotional support are offered to both the patient and family. Bereavement services are available before and after a loved one dies. 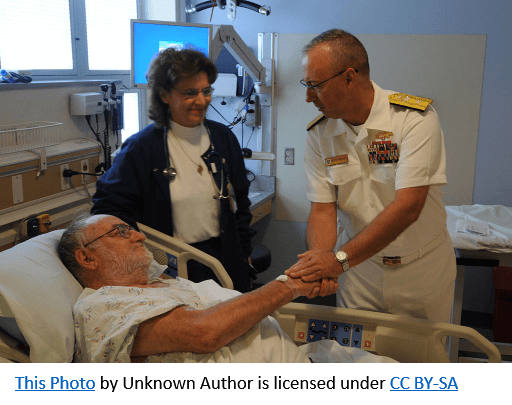 The patient may continue to see their primary care doctor along with the hospice team’s physician, nurse, CNA, social worker, chaplain and volunteer. Hospice does not hurry up or prolong end-of-life. Comfort care for the patient and family is the primary goal. Those who are in hospice care often have many needs, but don’t always have access to the assistance required. One of my grandmothers developed Alzheimer’s about ten years ago and lived with it for several years. She was in her 60s when she received the diagnosis. While the onset of the illness was slow, when it worsened, it became unmanageable. She forgot who we were, disappeared from her home several times and eventually became a danger to herself. As her condition worsened, she also developed several other illnesses, which made taking care of her impossible for my grandfather. Thankfully, my family was able to pay for outside help to provide the care she needed until she passed away. Unfortunately, this isn’t the case for everyone. Many elderly adults don’t have family to care for them, and do not have the funds to pay for outside help such as a nursing facility or in-house nurse. Many hospice services fill this gap by providing care that is paid for through donations, or government programs like Medicare and Medicaid. There are also non-profit organizations that can provide everyday necessities like groceries. I recently met a man in his early nineties who had saved enough money to pay for his livelihood until he reached 85-years-old. He said he hadn’t expected to live past that point, but when he did, he found himself penniless and with no one to turn to. With the help of local volunteers and nonprofit organizations who discovered his need, he was relocated to a better home, his utilities were paid and he was provided with groceries and medical coverage. Organizations that help elderly adults and hospice patients in need improve the quality of life for patients and their families.